There's nobody quite as cool as Johnny Cash. Like the golden Betty White, Cash is more popular now than ever before. Unlike Ms White, unfortunately, he's not around to enjoy it. When I heard that there was a new book about Cash, "Johnny Cash: The Life," I knew it was a perfect gift for my guitar-playing husband. The book was written by Robert Hilburn, the former chief music critic for the Los Angeles Times and the only music journalist at the legendary Folsom Prison concert in 1968. Hilburn knew Cash well and interviewed him and his wife June Carter for the final time just months before their deaths in 2003. "Johnny Cash: The Life" explores Cash's remarkable highs and deep lows over his long career. The book takes us through from his days at Sun Records with Elvis Presley to his critically acclaimed rendition of Trent Reznor's song Hurt in 2002. Drawing upon his personal experiences with Cash and never-before-seen material from the singer's inner circle, Hilburn creates a portrait of one of the most iconic figures in popular culture. I am putting this one on my reading list too! Once the husband is done with it, of course. Buy Johnny Cash: The Life in Canada. 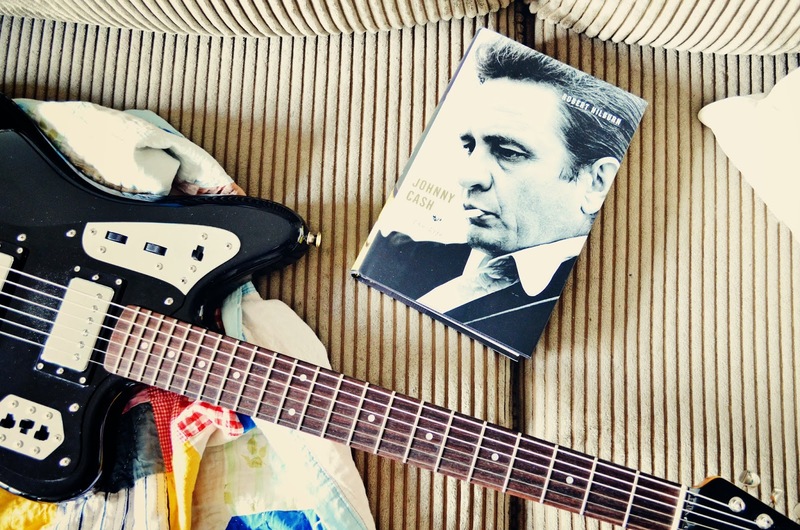 Buy Johnny Cash: The Life in the U.S.
*I received product for review purposes. This post contains affiliate links.Thank you for supporting the awesome companies that partner with Woman in Real Life! I've read other books on Johnny and June, they shared quite a story! Oh!! This will make a perfect gift for my Dad!! Thanks Joann!! My Dad would love this! And, my husband too. Great gift suggestion. I actually know a few ladies who would love this as well. A great gift! I have to admit, I had never been a big Johnny Cash fan until I saw the movie with Reese Witherspoon. I am a convert... may get the book for the hubby for Christmas. I'm a big fan of Johnny Cash after seeing Walk The Line. Sounds like a great book.